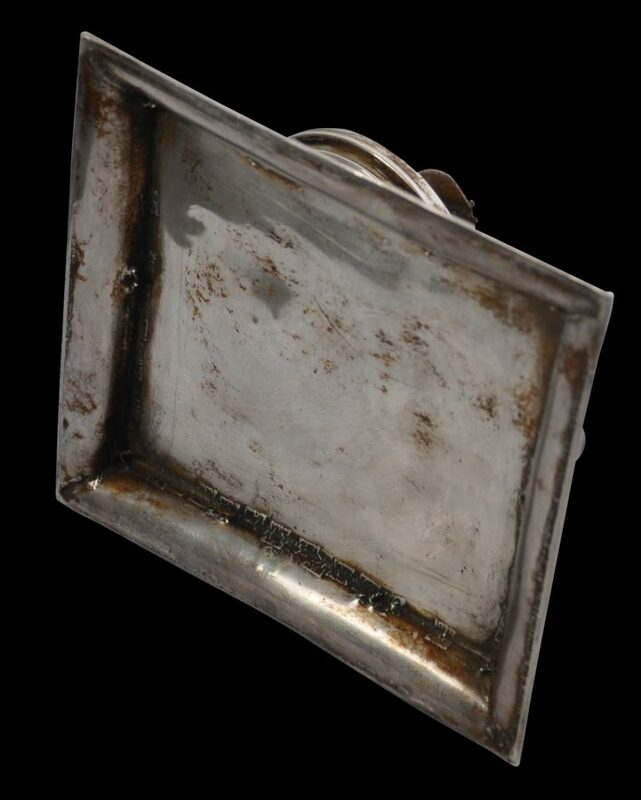 This rare silver shrine is portable ans was made to be carried on pilgrimages and journeys. 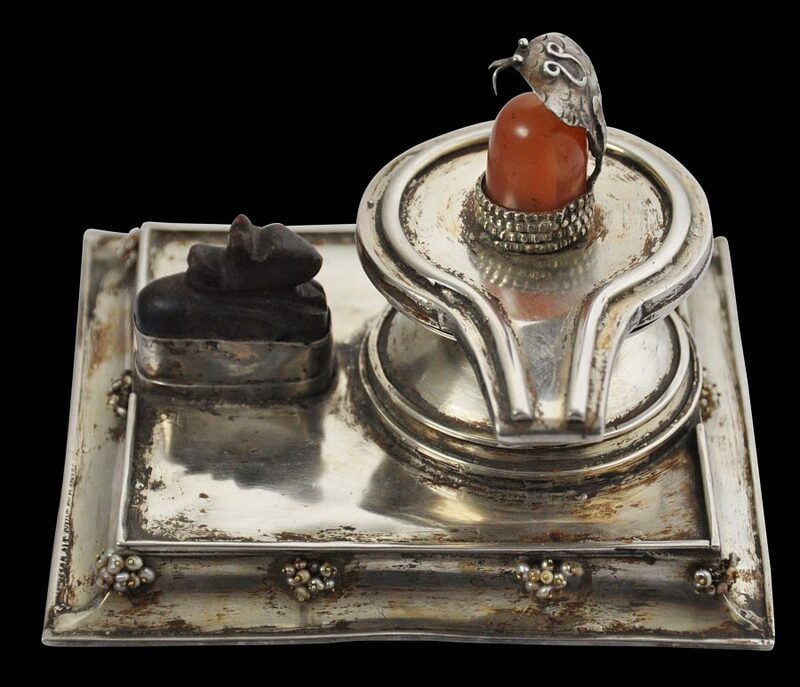 It comprises a silver shivalingam set with a carnelian or agate lingam. 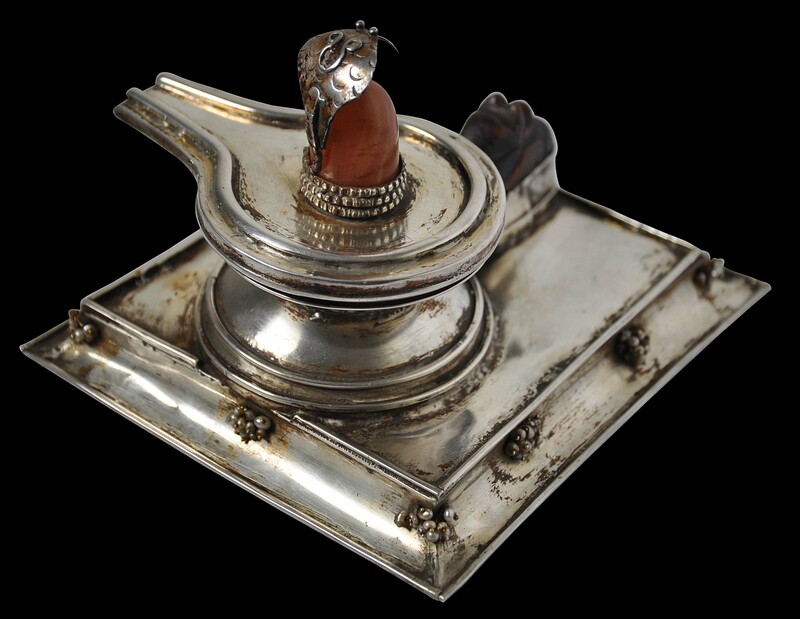 A silver cobra rises over the lingam. 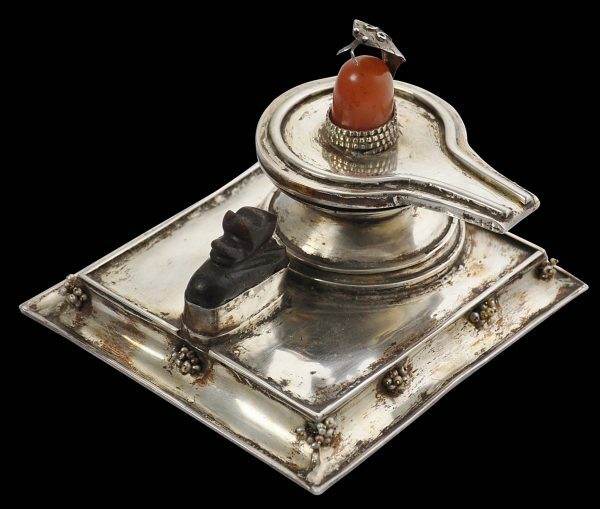 The shrine includes a nandi carved from basalt set within a silver mount, attending the shivalingam. 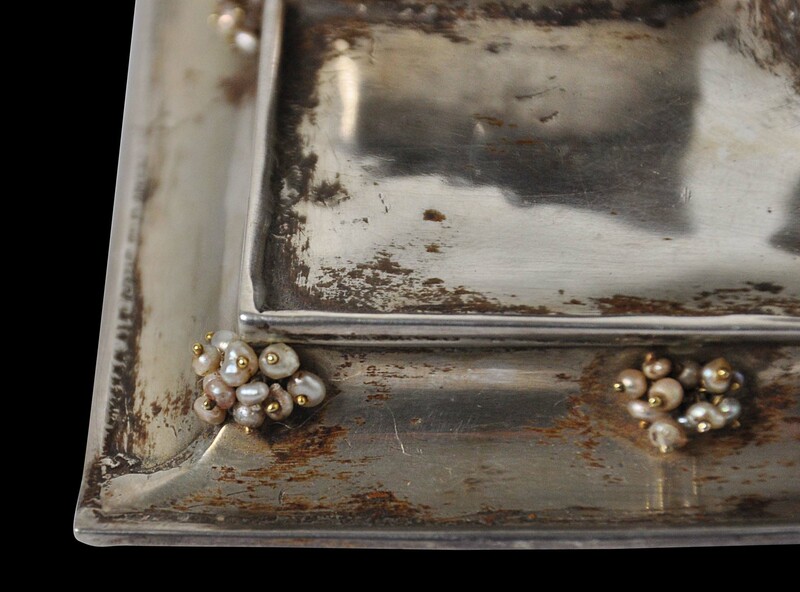 The shrine includes a wide, curved, bevelled foot set with ten bunches of small pearls with each pearl being attached to the shrine by means of a silver post. 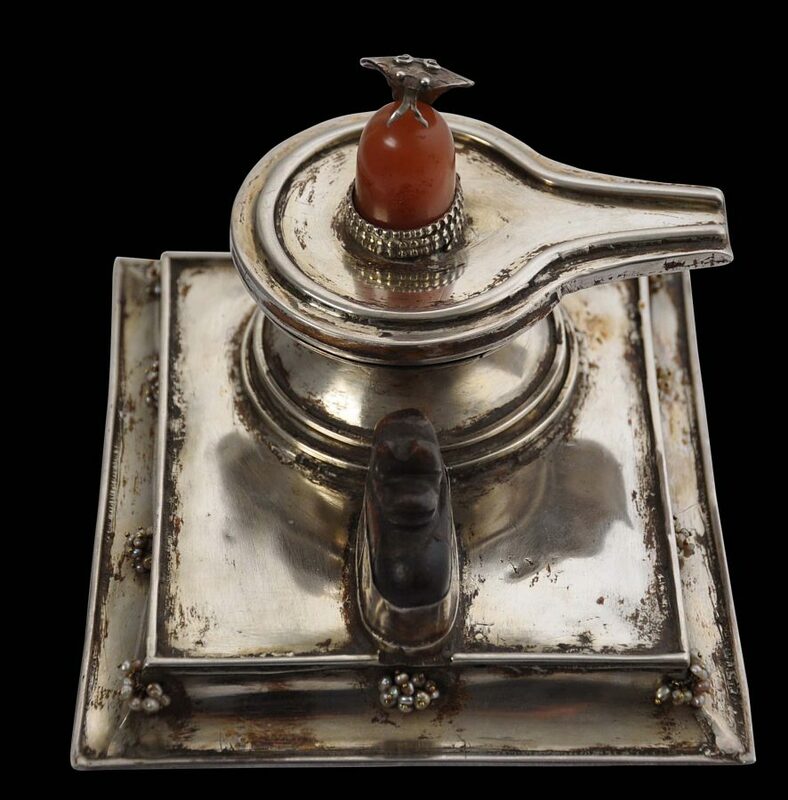 The use of silver in the shrine is appropriate because silver is considered a ‘pure’ metal in Hinduism and thus appropriate for use in ritual-related items. It comprises very thick sheet silver and is probably pure or close to it. 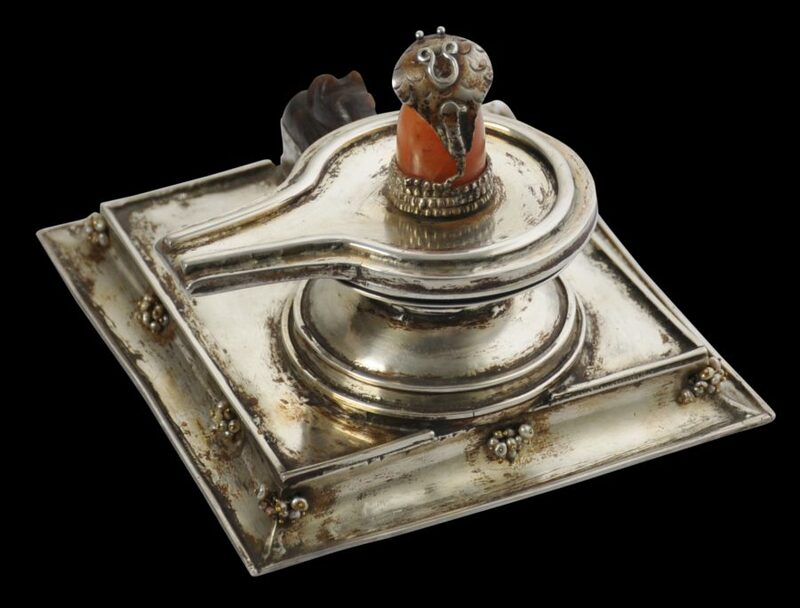 The lingam and yoni base are fixed together; they do not separate. 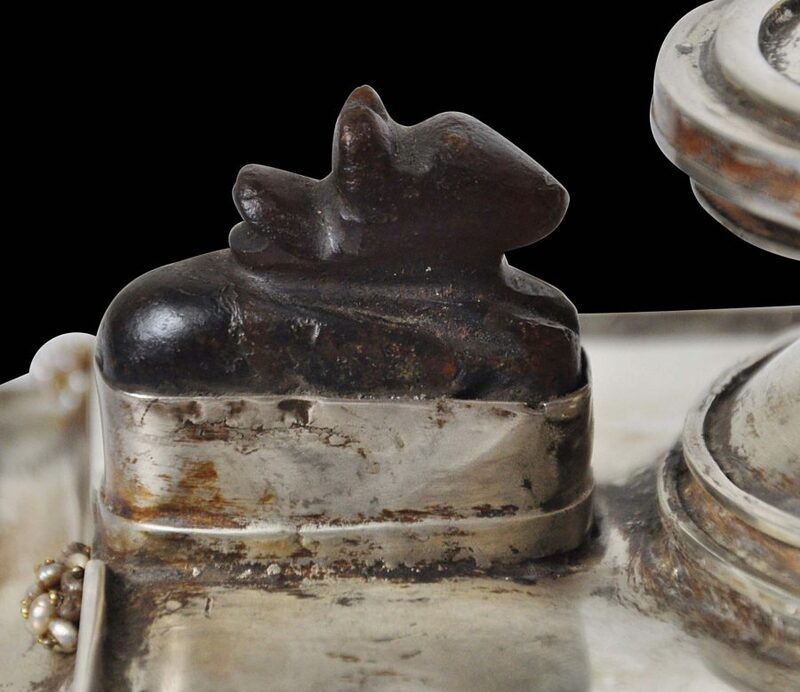 The body of the silver cobra wraps around the base of the lingam. The hood rises over the lingam in a protective manner. 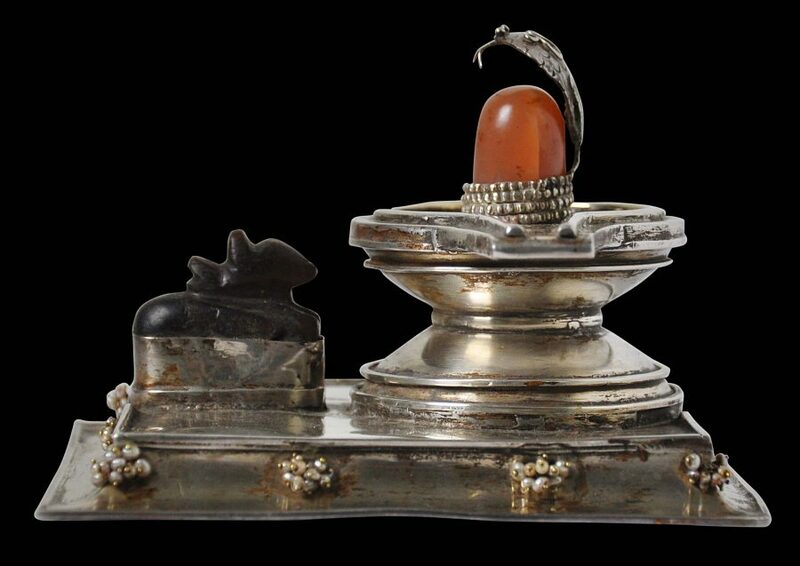 The physical union of a lingam with a yoni represents the indivisible two-in-oneness of male and female. Neither representations have any overt sexual meaning however. Indeed, the two are more symbols of power, fertility and prosperity than anything that is sexually charged. The cobra in this shrine represents Vasuki, a giant naga (snake) from Hindu lore. Vasuki allowed the devas (gods) and the asuras (demons) to bind him to Mount Mandara and use him as their churning rope to extract the ambrosia of immortality from the ocean of milk. Shiva blessed Vasuki, and the naga became a symbol of Shiva subsequently. 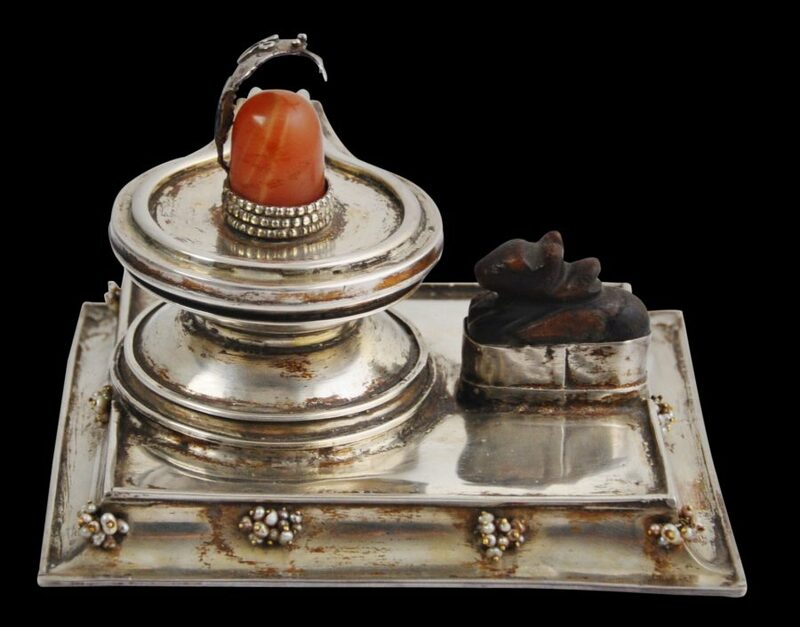 Puja worship of a shivalingam typically involves pouring water, milk and ghee offerings over the lingam and the yoni acts as the catchment receptacle and the conduit from which these sacred offerings can be collected and distributed to those in attendance. 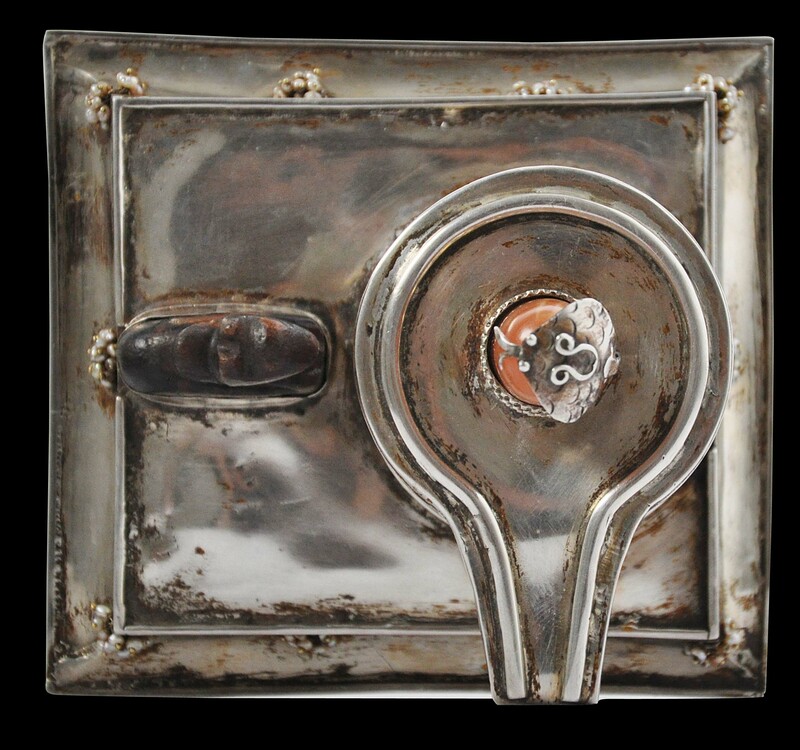 This fine item has a wonderful patina consistent with age and having been ritually used. The silver retains traces of residue from offerings. Overall, it is a rare, museum-quality piece.